View Members List by Type here. 3Media is leading the way in defining what is possible in terms of a rich, interactive mobile marketing service that consumers want to engage with and use. We use market-leading customer insight and real time location platforms to help you target the right person, at the right place with the right message at the right time; making your message relevant, targeted, immediate and measurable! Our aim is to drive awareness, engagement and purchase intent for the consumer on behalf of the brands we work with. Solutions include Direct Messaging, Location Based Messaging, Location Based Display Mobile App Advertising, Google AdWords and Self-serve messaging solutions including SMS and CRM enabling your business to connect directly with your customers. 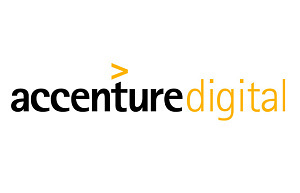 Accenture Digital is powered by three practices –Analytics, Interactive, and Mobility. Accenture Interactive helps CMOs and marketing organisations drive superior performance through relevance at scale. We offer a comprehensive suite of analytics, consulting and technology to drive up marketing performance, drive down the cost per interaction and create relevant consumer experiences on a massive scale. AdRoll is a leading performance marketing platform with over 30,000 clients worldwide. Its suite of high-performance tools works across devices, helping businesses attract, convert, and grow their customer base. The company is home to the world’s largest opt-in advertiser data co-op, the IntentMap™ with over 1.2 billion digital profiles. AdRoll’s goal is to build the most powerful marketing platform through performance, usability, and openness. AdRoll is headquartered in San Francisco, with offices in New York, Tokyo, London, Dublin, and Sydney. Learn more at www.adroll.com. Aer Lingus operates on over 100 routes to destinations in the UK and Europe and flies 17 direct routes to North America, carries more than 12 million guests per annum and is Ireland’s only 4-Star airline. Its mission is to become the leading value carrier operating across the North Atlantic enabled by a profitable and sustainable short-haul network, and supported by a guest-focused brand and a digitally-enabled value proposition. Aer Lingus is a member of International Airlines Group (IAG), one of the world’s largest airline groups. We are a Video Agency working in a digital world. We do strategy, creative and production. Our videos capture imaginations. They connect emotionally with people through the power of moving pictures. Our work delivers measurable results for brands, businesses and organisations. We do it through digital campaigns centred on social video. AOL is a leading-edge web services company, including a network of premium and niche content sites, and an extensive offering of world-class tools and platforms. AOL’s business spans the Internet with online and local content, innovative products and valuable services for consumers, publishers and advertisers. With one of the industry’s largest advertising networks, AOL engages consumers with online advertising services on both AOL’s owned and operated properties and third-party websites. In addition, AOL operates a premium subscription-based access service in the United States. Dublin is the development engine of AOL in Europe, with exciting projects in the AOL Advertising, ADTECH, AOL Media Technology, AOL Search, Enterprise Services and Local & Mapping groups. ChannelSight is a Buy Now technology provider. We help brands increase online sales and give them sales back data from our retailer network. Providing them with this data gives them a view into the full consumer path to purchase. comScore is a leading cross-platform measurement company that precisely measures audiences, brands and consumer behavior everywhere. comScore completed its merger with Rentrak Corporation in January 2016, to create the new model for a dynamic, cross-platform world. Built on precision and innovation, our unmatched data footprint combines proprietary digital, TV and movie intelligence with vast demographic details to quantify consumers’ multiscreen behavior at massive scale. This approach helps media companies monetize their complete audiences and allows marketers to reach these audiences more effectively. With more than 3,200 clients and global footprint in more than 75 countries, comScore is delivering the future of measurement. Core Media Group is a leader in digital and media management. We facilitate maximum return on investment from media opportunities. Targeted Ad Network and DSP, Advertising technology specialists. Digitize New Media Ltd is a leading online Sales House with market leading products in Performance networks, Video Advertising, email, Mobile, Social Media & targeted display Opportunities. 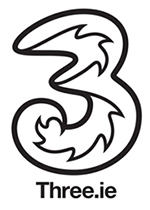 One of Ireland’s largest online media groups reaching over 35% of all Irish Internet users on a monthly basis. DMG Media Ireland is the media arm of Daily Mail And General Trust. We create the experiences, platforms and content that help brands build meaningful relationships with consumers. Exterion Media is a leading Out-of-Home media company. Its core business is engaging and delivering valuable audiences for advertisers through a variety of formats and environments including transport, billboards, street furniture and retail. Exterion Media are the leaders in digital Out-of-Home advertising in Ireland with extensive networks across both the Retail and Commuter environments. We believe that brands need to re-connect with consumers and approach marketing differently in order to be meaningful today and tomorrow. As a result, we are a future proofed media agency that thinks as easily about owned and earned media as it does about paid media. We look for the optimal and most efficient solution for clients, starting with any existing assets and building from there outwards. i-Believe is one of Ireland’s leading media sales agencies focused on innovative digital media offerings in mobile, video, audio and hyper-local advertising. i-Believe works with leading publishers and platforms to bring their online audiences and advertising technologies to market in Ireland. A dynamic, innovative and growing business, our job over the last 10 years has been to deliver innovative and successful advertising solutions whilst delivering revenue growth for our publisher and platform partners. We’re an ad agency for a digital world. Our people are passionate about creativity in new and old media. We were founded by Interpublic Group (NYSE: IPG) in 2007 to manage all of its global media-related assets. Today we manage & invest $36 billion in global media on behalf of our clients, employ over 7,500 diverse & daring communication specialists worldwide and operate our company businesses in over 130 countries. A proven entity in maximising media investments & business results, the Mediabrands Ireland umbrella includes local agencies Initiative Ireland & UM Ireland, and its roster of speciality services including MAGNAGLOBAL, Orion, Rapport, Mediabrands Audience Platform (Cadreon, Reprise Media, Ansible, Spring Creek), Ensemble, & Futures Sport + Entertainment. In Ireland we manage and invest more than €33 million on behalf of our clients and employ 37 people in our office centrally located on Harcourt Road, Dublin 2. Kinetic is the global leader in contextually connecting and activating audiences on the move. We have the scale, partnerships, and location expertise to deliver the most efficient and accountable Out of Home and Digital OOH solutions. We use insights, powered by data and technology, to understand the consumer journey and create innovative, relevant experiences that drive people to take action. LinkedIn connects the world’s professionals and gives them an authentic means to establish their own professional profile online, connect with trusted contacts and extend their professional network. This is made possible by the exchange of information, ideas, and insights to make better, faster decisions. Maximum Media operates the leading lifestyle website for Irish Men and Women, JOE.ie and Her.ie. McCannBlue are a creative communications agency for the here, now and next. Our job is to get brands into people’s heads and lives and stay there. We build brand stories and brand experiences that enrich consumers always on lives. Specialists in brand, design, copywriting, art direction and user experience. Authorities in consumer insight, listening, planning and digital strategy. Media Brokers is an Irish owned and operated display network headed up by digital expert Michelle O’Keeffe. Since its inception in August 2010, Media Brokers has gained significant market share with over 600 million page impressions per month and relationships with the key media buying agencies in Ireland. Media Brokers has launched 3 new products to compliment the display network including a mobile value network which offers mobile advertising on a cost per click basis. Online publisher and media owner. Mirror Media is part of one of the largest multimedia publishing groups in the UK & Ireland with offices in Belfast & Dublin. Its portfolio of publications, websites and digital platforms include the Irish editions of the Daily Mirror & Sunday Mirror, Irishmirror.ie, Belfast Live, Dublin Live and RSVP Magazine. 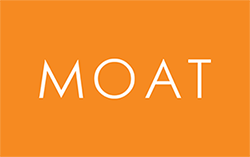 Moat is a New York-based SaaS analytics company focused on building products for brand advertisers and premium publishers. 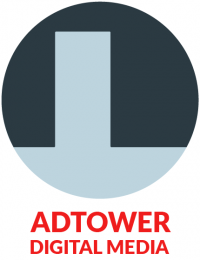 Their offerings include Moat Analytics, an attention measurement platform that provides analytics and insights on ad campaigns and website inventory for publishers and advertisers, and Moat Pro, a real-time ad intelligence platform for marketers, publishers, and agencies. Moat is the first company to be accredited by the Media Rating Council (MRC) to measure viewable ad impressions across online display, video, and mobile (web and in-app). The company was founded by Jonah Goodhart, Noah Goodhart and Michael Walrath. The serial entrepreneurs had previously partnered to launch Right Media, which was acquired by Yahoo! in 2007. For more information on Moat, please visithttp://www.moat.com. Neo@Ogilvy is a full service digital division working with the Ogilvy Ireland team to develop and deliver effective marketing strategies. Nielsen studies consumers in 47 European markets, and across more than 100 countries around the world, to give the most complete view of buying trends and media habits. Constantly evolving, not only in terms of where they measure, or who they measure, but in how their insights can help drive profitable growth. Omnicom Media Group includes the full service media networks OMD and PHD. Publicis Dublin is Ireland’s most creative communications agency. Our integrated digital solutions complement and enhance our through-the-line work, ensuring brands engage with consumers on a deeper level through creative digital platforms. 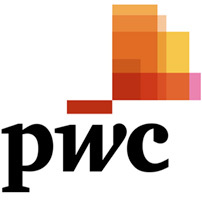 PwC is Ireland’s largest professional services firm and supports clients across a range of areas including: consulting, digital strategy, analytics, assurance and tax. Helping clients achieve their goals is at the heart of what we do. By listening to you and understanding your vision, we can help you overcome the challenges you face. Whether you are a large global organisation, a government body or a family owned private business, we have the experience and expertise to help you. We have 180,000 people across 158 countries who are committed to delivering quality and creating value for you. Quantcast processes real-time data at the intersection of commerce and culture, providing useful, actionable insights for brands and publishers. Through Quantcast Measure, we have unlocked the data generated by more than 100 million digital destinations, helping publishers and creators understand and grow their businesses in ways never before possible. With Quantcast Advertise, adaptive modeling and intelligent machines are utilized to help thousands of marketers around the world find and interact with customers anywhere they connect to the digital world. Our more than 750 employees are driven by the potential for big data to radically improve everyone’s connected experiences and transform the way we all make sense of the world. For more information, visit www.quantcast.com. RED C work with companies to maximise their brand positioning and marketing by providing consumer or customer clarity, and so enable sustained growth. Now one of the largest independent research companies in Ireland , we use the latest research innovations, married with traditional techniques to develop research solutions that provide real insight to our customers. Sheology is Ireland’s leading and only pure female digital publishing agency. The company was founded by husband and wife team, Sandra and Cormac McKenna in 2009. Sheology owns and manages a number of successful female oriented lifestyle digital properties which have the unique ability to reach women online throughout each stage of her life. Sheology’s websites engage new millennials through SHEmazing.net; mums with MummyPages.ie and MagicMum.com, which combined reach over 2 million unique users in Ireland. The company’s successful expansion into the UK in 2011, added a further 2.5 million users through the parenting platform MummyPages.co.uk. Sky’s digital portfolio is an integral component in the overall Sky Media proposition reaching 1 in 5 of the internet population. Our offering not only gives incremental reach to the overall communication’s plan, but it also allows brands to engage with an audience on a deeper level. This can be achieved via bespoke content, high impact display formats, short form video, mobile app banners & dynamically served ads in VOD content. All of this coupled with the ability to accurately measure ROI makes Sky Media’s digital assets a must have in the overall marketing process. We are a social and digital content agency specialising in strategy, creative and production. We are a young, vibrant, digital and social agency comprised of creative strategists, content creators, designers, nerdy developers, social media influencers, search marketing geeks, researchers and analytics boffins, media planners and deal makers. We work with high intensity start-ups and established Irish and international brands to create authentic emotional connections with their target audiences. Thinkhouse is an independent creative communications agency that specializes in youth communications (18-35 year olds). Thinkhouse works with global brands to bring them closer to youth audiences via innovative and culturally connecting creative, social, content, PR, digital, experiential and peer-to-peer programmes. The Youth Lab is Thinkhouse’s Insights and trends division, dedicated to unearthing game-changing insights that help future-proof global brands. Thinkhouse was listed as “2015 Leading Agency of the World” by Campaign magazine. Ve Interactive is a leading technology company with data at its core. Every day, its vast systems collect billions of online audience data points in real-time and blend them with third-party data. Deep segmentation and analysis enables Ve to produce anonymised and actionable datasets which drive VeAds – high performance digital advertising – and the VePanel – a suite of live on page tools – to help websites to better acquire, engage and convert customers.